"It left a big hole in my heart. I want to let the veterans know we have not forgotten what they mean to the country." 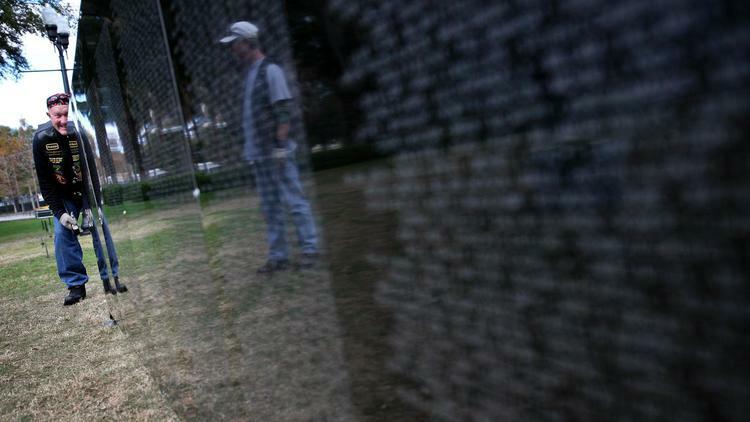 GROVELAND — Ron Putnam wants Vietnam War veterans to feel welcomed and honored. On Friday, he plans to do just that. Putnam, 69, purchased seven personalized plaques to be presented to Lake County cities that were home to Vietnam veterans who died during the war. Each plaque is engraved with the hometowns and names of those who died. It's his way of showing respect and encouragement to Vietnam veterans who died in the war and others who were scorned when they returned home. "I feel as though it's time to give something back to the Vietnam veterans, to let them know we support them and we are behind them," he said. Putnam, who served at Luke Air Force base in Arizona from 1966 to 1970, said he started thinking about a dedication specific to local Vietnam vets shortly after he learned "The Wall That Heals," a half-scale replica of the Vietnam Veterans Memorial in Washington, D.C., was visiting Groveland. The Wall will remain in place until 2 p.m. Sunday.